Frimley Health NHS Foundation Trust provides NHS hospital services for around 900,000 people across Berkshire, Hampshire, Surrey and south Buckinghamshire. 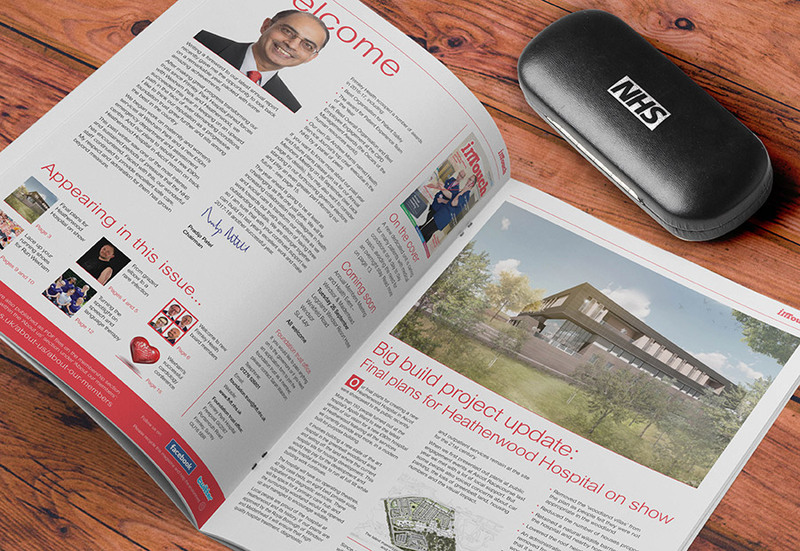 In 2014, they brought together Heatherwood and Wexham Park Hospitals NHS Foundation Trust and Frimley Park Hospital NHS Foundation Trust to create Frimley Health NHS Foundation Trust. As well as delivering excellent general hospital services to local people, they provide specialist heart attack, vascular, stroke, spinal, cystic fibrosis and plastic surgery services across a much wider area. 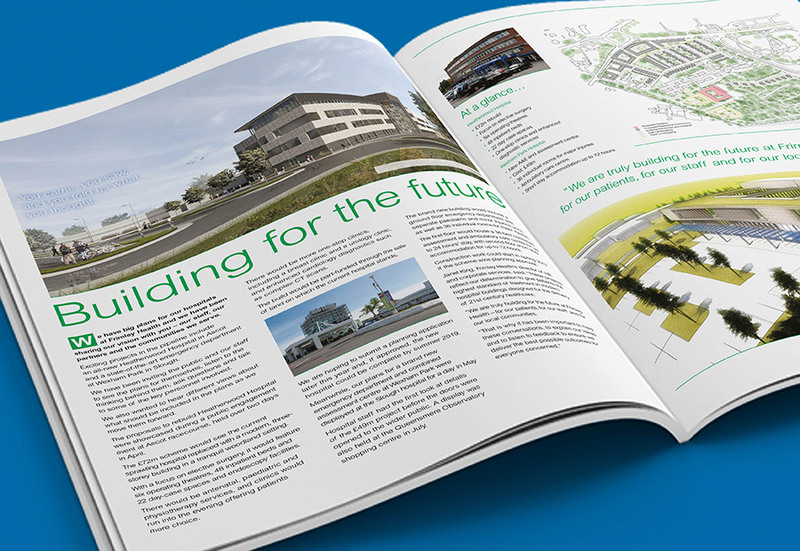 We’ve worked with Frimley Health for over 10 years, creating great looking publications that deliver up-to-date news and developments for Frimley, Wexham and Heatherwood hospitals. 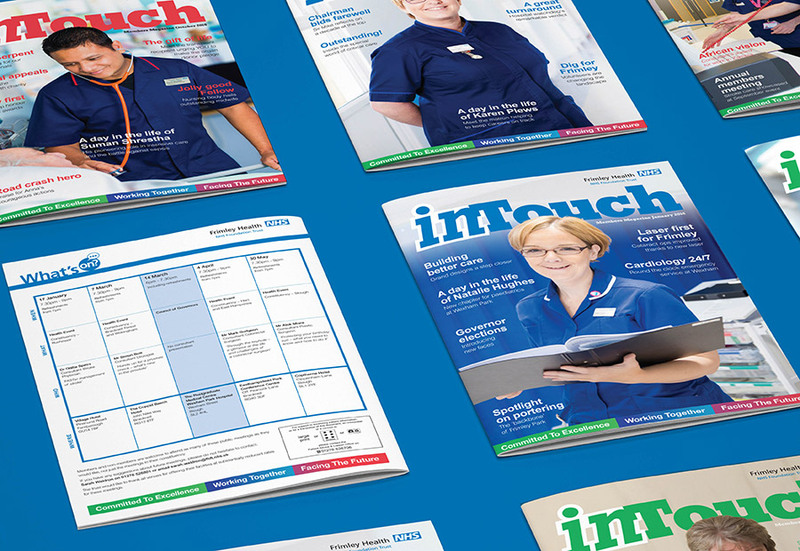 Last year we refreshed their existing magazine with the more contemporary looking ‘In Touch’ quarterly publication which caters for the Trust’s mature audience of 24,000 members.